The Abdullah Azzam Brigades, an organization affiliated with Al-Qaeda and the global jihad, is likely responsible for the terrorist attack on a Japanese oil tanker in the Strait of Hormuz. 1. 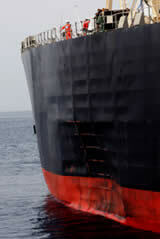 On the night of July 27-28, 2010, an explosion took place in the stern of the Japanese oil tanker M. Star when it was anchored in the Strait of Hormuz. It appears that the explosion was caused by a boat laden with explosives and piloted by a suicide bomber. The boat came alongside the oil tanker and blew up. The tanker, which was en route to Japan’s Port of Chiba, carried over three million oil barrels. One person sustained minor injuries, and slight damage was caused to the hull of the tanker. 2. 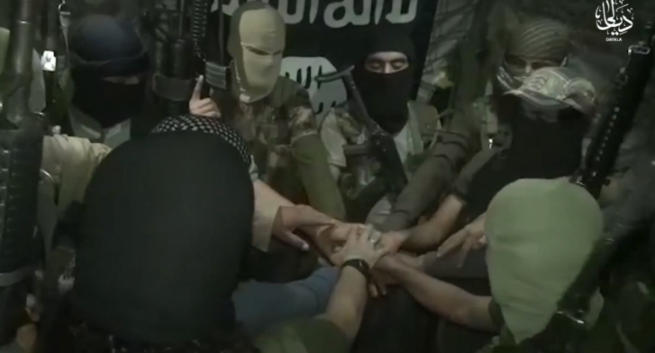 The Abdullah Azzam Brigades,1 an organization affiliated with Al-Qaeda and the global jihad, claimed responsibility for the terrorist attack (August 4, 2010). According to a statement released by the organization, the terrorist attack was perpetrated by its Arabian Peninsula branch, which refers to itself as the Yusuf al-Ayiri Companies. The attack itself was carried out by a suicide terrorist named Ayyub al-Taishan, who was assisted by other operatives belonging to the organization. Attached to the statement was the terrorist’s photograph, showing him dressed in a traditional white robe and headdress, and pointing to a photograph of the tanker on a laptop computer. 4. Yusuf al-Ayiri, codenamed As-Sayf al-Battar (the sharp sword/the slicing sword/the piercing sword), was born in Saudi Arabia in 1973. He was one of Al-Qaeda’s senior ideologues and field commanders.3 Al-Ayiri was killed in Saudi Arabia in 2003, having fought in Afghanistan, Chechnya, and the Philippines.4 The Abdullah Azzam Brigades network in the Arabian Peninsula is named after him. 5. The terrorist attack against the tanker is the first to be carried out by the organization’s network in the Arabian Peninsula. It is not the first time, however, that an organization affiliated with Al-Qaeda and the global jihad uses such modus operandi. On October 6, 2002, there was an attempt to attack the French oil tanker Limburg in the Gulf of Aden, off the coast of Yemen, where it was waiting to pick up a load of crude oil. A small motor boat rammed the tanker and detonated; the vessel caught fire. One person was killed and twelve were injured in the terrorist attack. Prior to that, in October 2000, the American destroyer USS Cole was rammed by a boat laden with explosives while in Aden, Yemen. Seventeen US sailors were killed in the attack. 6. 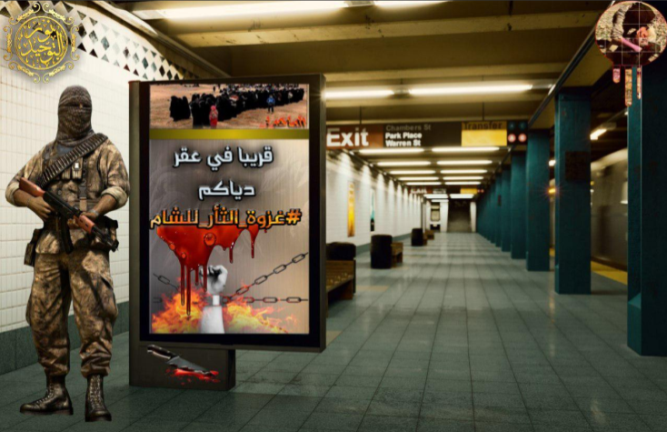 The Abdullah Azzam Brigades, which claimed responsibility for the attempted terrorist attack against the oil tanker, is an organization affiliated with global jihad and Al-Qaeda. The organization is headed by Saleh al-Qar'awi, a Saudi national who fought US forces in Fallujah, Iraq, where he became acquainted with Abu Mus’ab al-Zarqawi (who headed the Al-Qaeda branch in Iraq until he was killed in a US air strike on June 8, 2006). 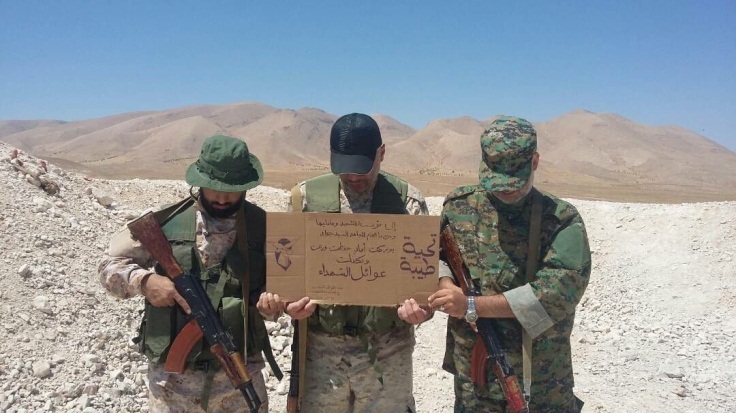 Senior Abdullah Azzam Brigades operative Nijm al-Bardawi noted that the organization has several networks ("battalions”) deployed in various locations. According to Al-Bardawi, each network is named after an Al-Qaeda operative. One of the networks is called Ziad al-Jarrah, and it operates out of refugee camps in Lebanon (www.ceifit.com).5 Another network operates in the Arabian Peninsula and is named after Yusuf al-Ayiri. 9. According to Al-Qar'awi, during his stay in Iraq Al-Zarqawi entrusted him with the mission of acting on his behalf outside of Iraq. 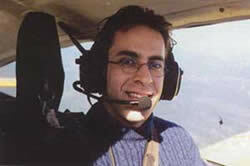 He then left for Syria, where he was arrested for a short period of time and extradited to Saudi Arabia. 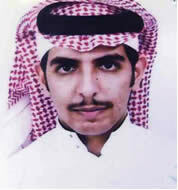 After a brief prison term in Saudi Arabia, he was released once again. Available information suggests that Al-Qar'awi uses fake documents to travel between Saudi Arabia, Lebanon, Syria, Iraq, and the UAE, and currently appears to be in Al-Qaeda’s training camps in Iran.9 It is likely that he stayed or is staying in Afghanistan as well. 10. The Abdullah Azzam Brigades have a terrorist network in Lebanon which operates from Palestinian refugee camps, home to local networks which are affiliated with Al-Qaeda and the global jihad. According to Saleh al-Qar'awi, the Lebanese network is called the Ziad al-Jarrah Companies, and its mission is to engage in anti-Israeli operations from Lebanese territory. He noted that the operations in Lebanon are not limited to firing rockets on Israel, and that the organization aims to diversify its activity and "surprise the enemy” (Al-Fallujah forum, April 4, 2010). 12. 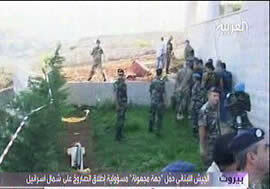 A video clip released on behalf of the Lebanese network in July 2009 showed rockets being moved and prepared for firing, while a voice-over featuring Osama Bin Laden and Ayman al-Zawahiri called on jihadists in Lebanon to unite and act "against the Jews” and against UN Security Council Resolution 1701 "in words and in actions” (Al-Fallujah forum, July 24, 2010). a. On September 11, 2009, two or three 122-mm rockets were fired from the vicinity of the village of Qlaileh (in the western sector of southern Lebanon) on Israel's Western Galilee. The rockets landed in open territory, causing no injuries and no damage to property. A message published on an online forum affiliated with Al-Qaeda (September 14) said that an organization called Abdullah Azzam Brigades, whose Lebanese network is known as the Ziad al-Jarrah Companies, claimed responsibility for the attack (Al-Fallujah forum, September 14). b. On October 27, 2009, a rocket, apparently 107mm, was fired into Israeli territory from the area of the Shi’ite village of Houla in the central sector of south Lebanon. The rocket hit was identified in an open area near a northern Israeli population center. There were no casualties but vegetation was burned as a result of the explosion (IDF Spokesman, October 27, 2009). 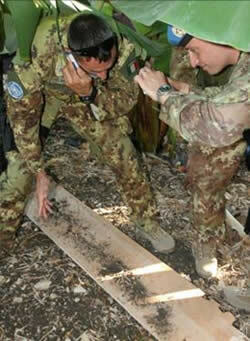 The following morning, four additional rockets ready for firing were discovered at the launching site. They were found on the outskirts of the village of Houla. A claim of responsibility for deploying five rockets in the surroundings of the village of Houla was published on the global jihad forum (Fallujah forum, October 29, 2009). 14. In November 2009, it was reported that the Pakistani embassy and the ambassador stationed there may have been the targets of a terrorist attack by the Ziad al-Jarrah Companies of the Abdullah Azzam Brigades (Daily Star, November 19, 2009). We have no evidence to that effect. 15. A series of coordinated, simultaneous terrorist attacks carried out in three hotels in Jordan’s capital of Amman on November 9, 2005 killed about 67 people and injured about 200 (Jordan News Agency, November 9, 2005). The three terrorist attacks took place minutes apart. Two were apparently carried out by suicide bombers, while a car bomb was used for the third. A network referring to itself as "Al-Qaeda in Syria and Egypt—Martyr Abdullah Azzam Brigades” claimed responsibility for the attacks. 16. On the morning of August 19, 2005, three Katyusha rockets were fired from the Jordanian city of Aqaba at the Gulf of Aqaba and the Israeli city of Eilat. One of them landed in the vicinity of the Eilat airport. Two other missiles aimed at a US vessel in the Gulf of Aqaba missed their target. One of the missiles that missed killed a Jordanian soldier and injured another. A network referring to itself as "Al-Qaeda in Syria and Egypt—Martyr Abdullah Azzam Brigades” claimed responsibility for the attack. 1 Dr. Abdullah Yousef Azzam, after whom the organization is named, was a Palestinian from the village of Silat al-Harthiya in the Jenin district. During his studies in Egypt, he joined the Muslim Brotherhood and developed a radical Islamic ideology that was adopted by Osama Bin Laden and Al-Qaeda. Abdullah Azzam was assassinated in Peshawar, Pakistan, on November 24, 1989. His ideology is centered on the concept that jihad (holy war) is a personal, actual, and concrete duty of each and every Muslim. Due to his Palestinian descent, Abdullah Azzam became a role model and revered figure mostly for Hamas (which named mosques, streets, and even its Gaza Strip military academy after him). 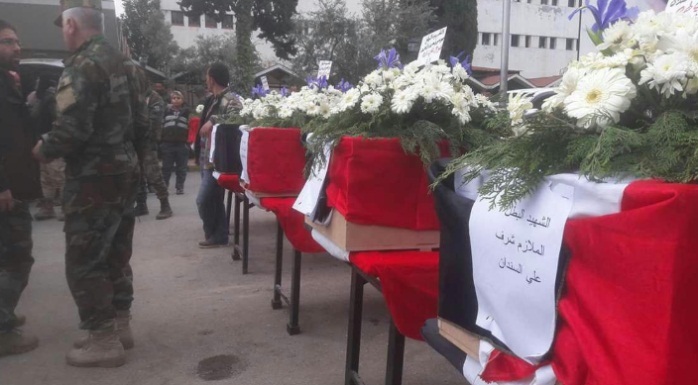 5 Nijm al-Bardawi stressed that the organization’s operations were not confined to the territory of Lebanon or to rocket fire, saying that there were other targets, including American, which the Abdullah Azzam Brigades would reach soon (Al-Fallujah forum, August 4, 2010). 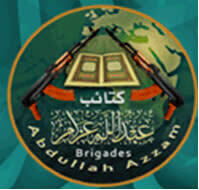 6 The name "Abdullah Azzam Brigades” has been used for various networks and terrorist activities. For example, in an interview granted to Al-Sharq al-Awsat, top Izz al-Din al-Qassam Brigades operative Muhammad Def said that Hamas' military wing was first called "Sheikh Abdullah Azzam Brigades”, a name that was changed in 1991 to Izz al-Din al-Qassam Brigades. In Iraq, a terrorist network known as the 1920 Revolution Brigades, which operates against US forces and its allies, used the name "Abdullah Azzam Brigades” for one of its terrorist squads. 7 http://www.aljazeera.net/NR/exeres/D6B8121A-0335-4CC8-98C3-36081E23E641.htm, August 4, 2010. 8 http://www.aawsat.com/details.asp?section=4&article=563849&issueno=11451, April 5, 2010.